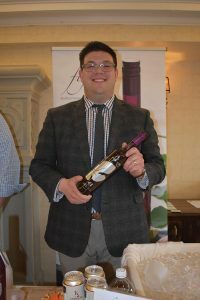 Allan S. Goodman, Inc. hosted two spring trade tasting sessions at Saybrook Point Inn and Spa in Old Saybrook on April 4. 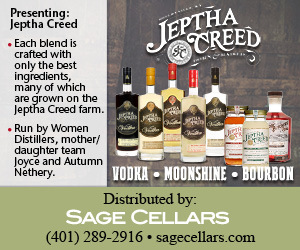 The Spring Spirits Demo took place during the afternoon, featuring a variety of fine spirits, both for tasting and mixed into cocktails. An evening wine tasting session showcased hundreds of imported and domestic wines. 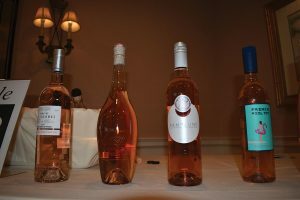 Brand managers and sales representatives discussed featured selections with trade guests. 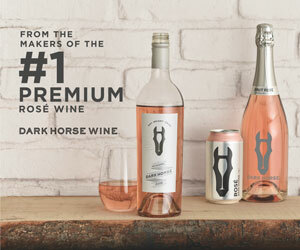 Rosés on display including Julia’s Dazzle Rosé, Pamplune Rosé and French Pool Toy. 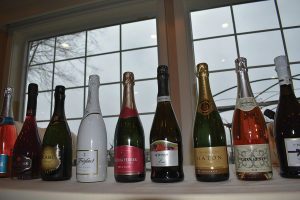 Sparkling wines including Banfi Rosa Regalé, Korbel Natural Champagne, Freixenet Ice Cuvée, Gloria Ferrer Brut Rosé and 14 Hands Winery Brut Champagne. 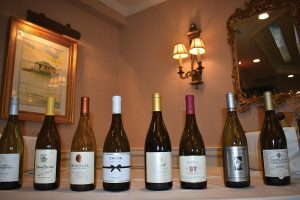 Chardonnays from Chateau Ste. Michelle, Benziger Family Winery, Chloe, Luminus and B.R. Cohn. 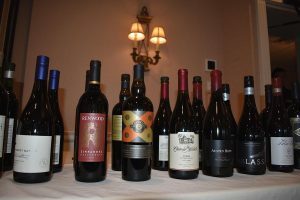 Reds on display including Renwood Zinfandel, Four Virtues Zinfandel, Chateau Ste. 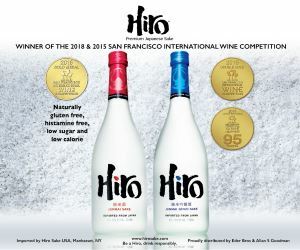 Michelle Syrah, Austin Hope Syrah and Blass Black Spice Shiraz. 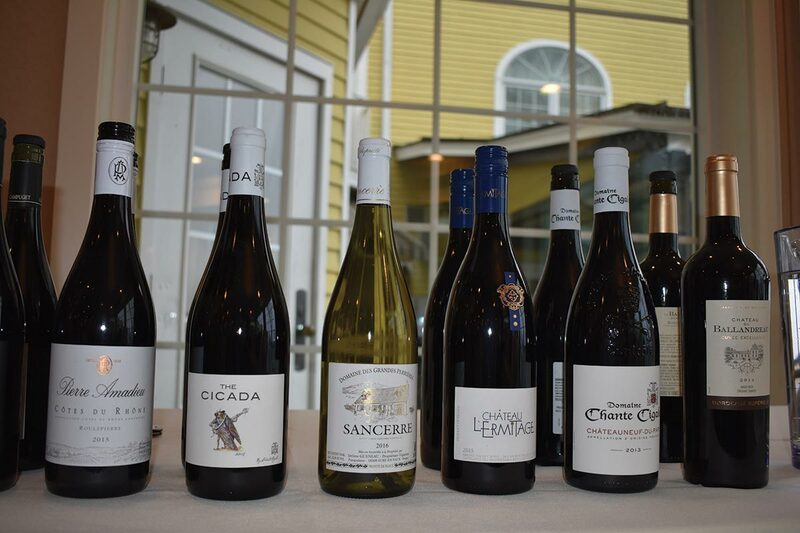 A selection of French wines available for tasting, including Pierre Amadieu Cotes de Rhones, The Cicada, Domaines des Grandes Perrieres Sancerre and Domaine Chante Cigale Chateauneuf-du-Pape. 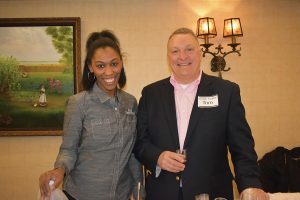 Kim Hill, CT Market Manager and Tom Kachmarck, CT State Manager, both from Brown-Forman. 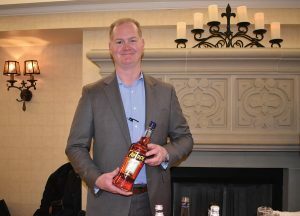 Gary Dritschler, Market Manager, Campari America with Aperol Aperitivo Liqueur. 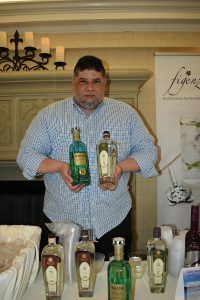 Richard Cadavid, Northeast Regional Manager, Disaronno International. Sarah Darby, Promotions Manager, Allan S. Goodman, with Cocktail Caviar. 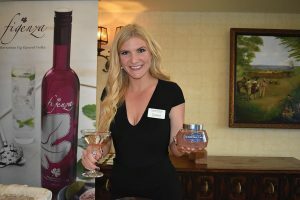 Lisa Kazersky, Infinium Spirits with Corralejo Anejo Tequila. 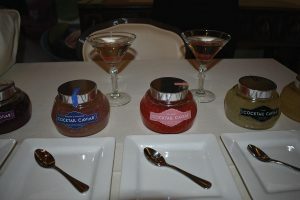 Cocktail Caviar, bubbles of flavored liqueur that can be added to cocktails and desserts.